Richard Noll. 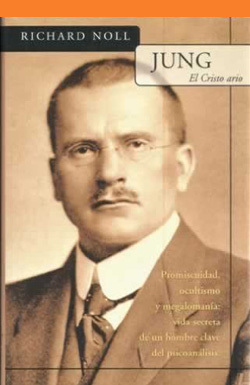 Jung, el Cristo ario. Barcelona: Ediciones B, 2002, 416 pages. Translated by Marta Pino Moreno. ISBN: 9788466610032. Spanish translation of the original title: Richard Noll. The Aryan Christ: The Secret Life of Carl Jung. Random House, 1997. Published in Spanish by Ediciones B.